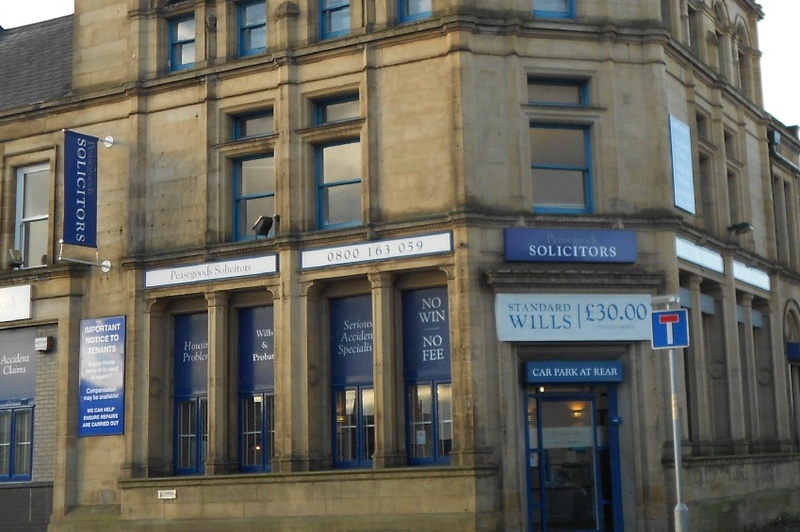 About Peasegoods Solicitors of Manchester. Peasegoods Solicitors has been established for over 30 years. Since the late 1980s we have occupied a large sandstone building near the busy junction of Rochdale Road and Factory Lane / Moston Lane. The distinctive building used to be a bank and is a well known local landmark. The practice does civil litigation work dealing with injury claims and housing matters together with the traditional services of a local solicitor such as wills and probate, powers of attorney, employment, debt, conveyancing and other general personal law work. We are probably best known, however, for our housing law specialism and provide specialist housing advice to tenants in respect of their rights and in housing disrepair matters. Housing Association tenants and council tenants regularly contact us for specialist advice as we have years of experience dealing with their “Social Landlords” as they are known. We have the Law Society Lexcel accreditation. We were the first legal practice in Manchester to obtain the Investor in People accreditation. The Law Society Personal Injury Accreditation Scheme renewal was issued in August 2012 (SRA number 162252). We have been panel members of the Accreditation Scheme since 1997. We are probably the largest housing law solicitors in North Manchester and unlike most modern legal practices, we continue to offer a free daily legal surgery for injury, housing and probate matters. Much of our new work is from recommendations and our client satisfaction surveys usual reveal that our clients will be certain to recommend us in the future. Most of our staff live in the area of Manchester that Peasegoods serve so we are acutely aware of the need to continue to provide excellent service. We welcome enquiries from all potential clients, even if they require a service that we do not apparently provide. In the majority of cases we are able to provide some assistance to them or direct them to an appropriate organisation. We pride ourselves on being an approachable and easily accessible practice.